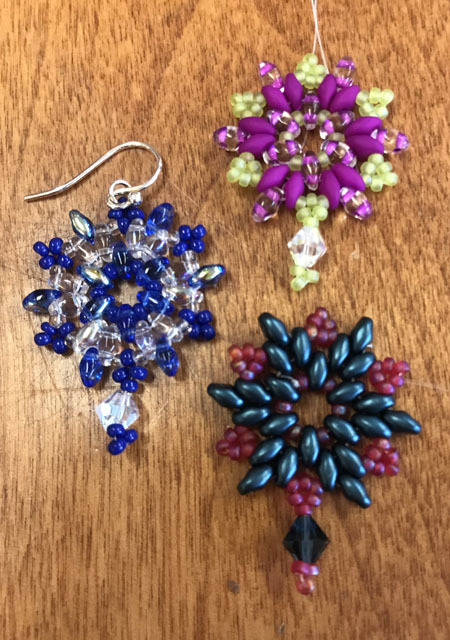 Classes- We offer a variety of classes on beading topics. Please call us at 216-932-3780 to sign up. When you call, be prepared to tell us the class topic and date in which you are interested from the schedule below. Please also be prepared to pay when you register. (You are not officially registered and your spot cannot be held if you have not paid.) Please try to sign up several days in advance to ensure placement in a class (except for Basic Bead Stringing and Kids Classes, which are available for drop-ins). If a class is not full by the day before, it may be cancelled. We will contact you at least one day in advance of the scheduled class, if possible, if that class is being cancelled. 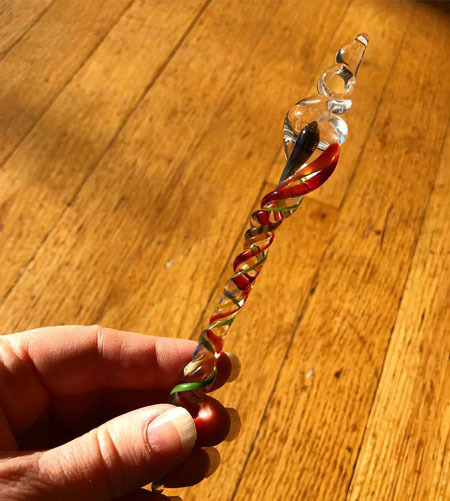 Learn to use a gas torch to melt glass and shape it into simple beads. You will also learn how the beads are finished and stabilized. This is a one hour class with a limit of one person per hour. Two people can register together for 2 consecutive hours, which will give each person a little more time on the torch. 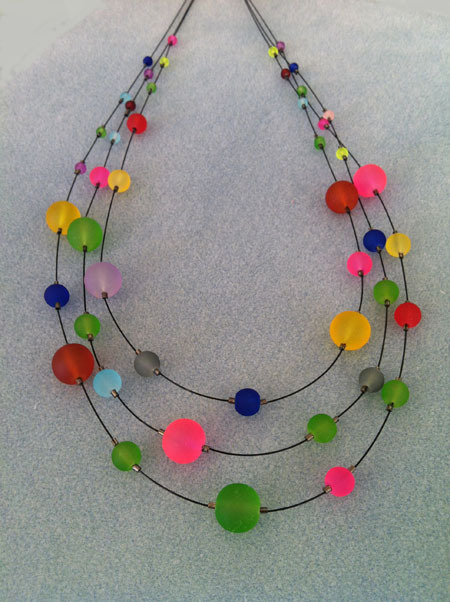 Beginning Level 1 Class: Make round and donut shaped beads. This class includes a safety discussion, demonstration, and 45 minutes of torch time. If you are registering with a friend (for a total of 2 hours), each of you will have about 50 minutes of torch time. 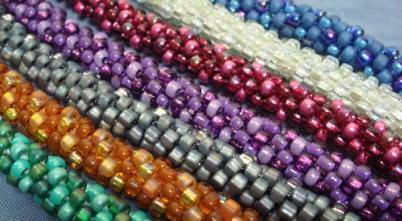 You can move to the next level of bead making at the Instructor's discretion. Beginning Level 2 Class: Make barrel and cylindrical shaped beads, and add frit. Beginning Level 3 Class: Make cone shaped beads, flat discs, and add dots. Participants must wear the following for safety: closed-toed shoes, clothing made with natural fibers (polymers can melt onto your skin in an accident), and hair ties to secure long hair. Ages 18 and up (age 16-17 with parental consent). No experience necessary. Call: 216-932-3780 to register for this class. 2pm to 3pm or 3pm to 4pm. Please arrive early to choose materials. $35 for instruction and materials. 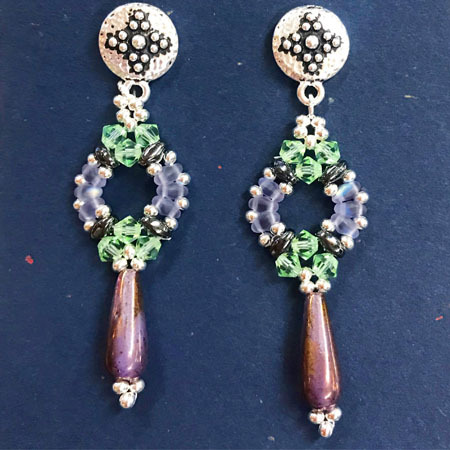 Learn to make these delightful 6-point drop earrings that combine several types of glass beads. Ages 14 and up. No experience necessary. Please arrive early to choose materials. $25 for instruction. Cost of materials will be approximately $10. SPECIAL: Bring a friend and each of you pays only $15 plus materials! Ages 13 and up. No experience necessary. Please arrive early to choose materials. 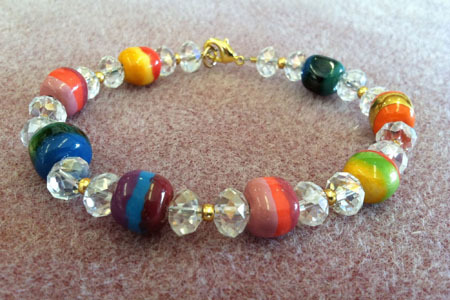 $30 for instruction, approximately $20 to $30 for materials, depending on the beads you choose. 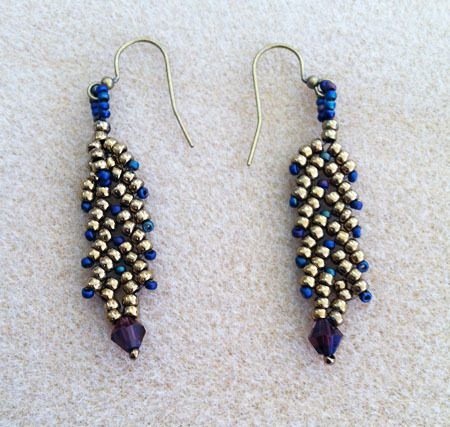 Learn to make cute earrings with super duo beads and seed beads, stitched together with Fireline. $10 to $30 for materials, depending on what you choose. SPECIAL: Bring a friend and each of you pays only $20 plus materials! 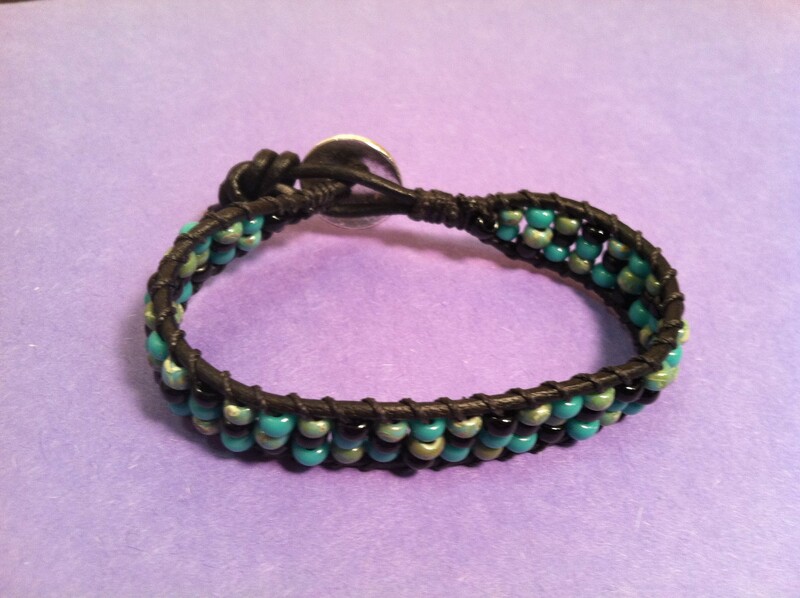 Learn to make a fashionable leather wrap bracelet using leather and seed beads. Please arrive early to choose materials. $30 for instruction; $10 or more for materials, depending on the beads you choose. Learn this technique for making beautifully textured wire work. 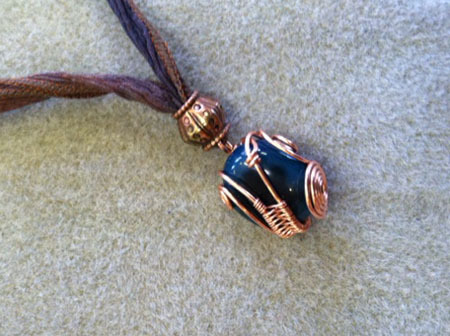 In this class, you will use copper wire for weaving and wrapping beads or stones. Cost of materials will be $10 to $15, depending on what you choose. 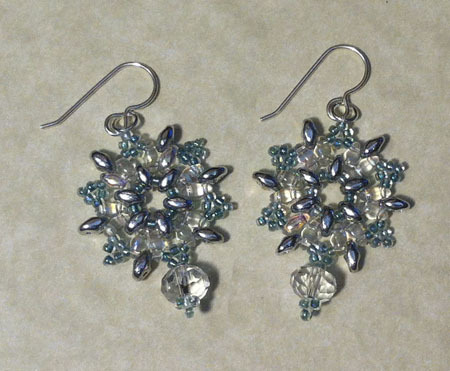 Learn to make amazing earrings by weaving together seed beads, swarovski crystal beads, and 6mm rounds. Cost of materials will be approximately $15 to $20. 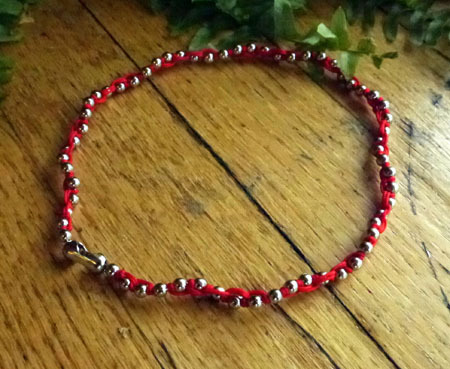 Learn to use fire line and seed beads in a chain stitch pattern to make this delightful bracelet. Cost of materials will be $20 to $30, depending on what you choose. 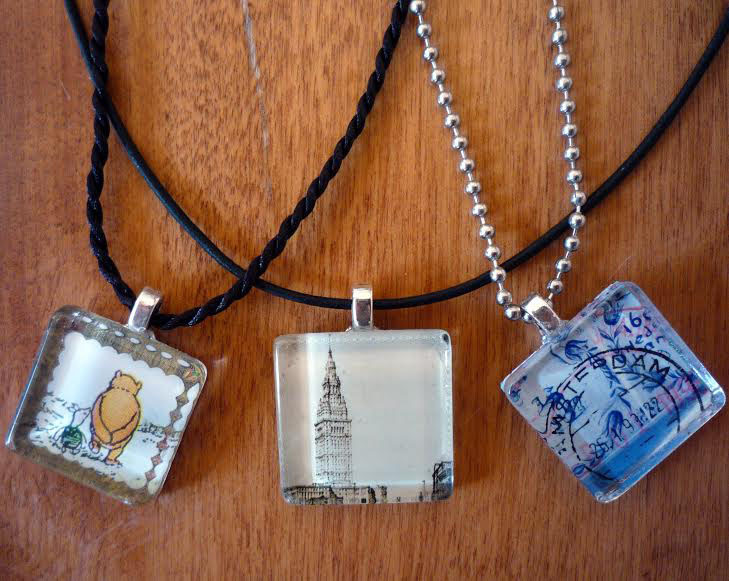 Learn how to create a memory pendant using old photos, magazines, stamps or any printed material (to make as many as three pendants). The pendant can be converted to a refrigerator magnet if you prefer that. Please bring small pictures or magazine images if you have them. All ages. No experience necessary. Children under 10 must be accompanied by and adult. Please arrive early to choose materials. $20, includes instruction and materials. SPECIAL: Bring a friend and both of you get the class for only $30! 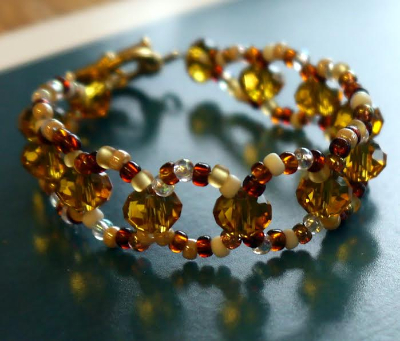 Learn to make a bracelet that is constantly flowing, shimmery fun! You will learn to stitch together bugle beads and chips with fireline and a clasp. Please arrive early to choose materials. $55, includes instruction and materials. 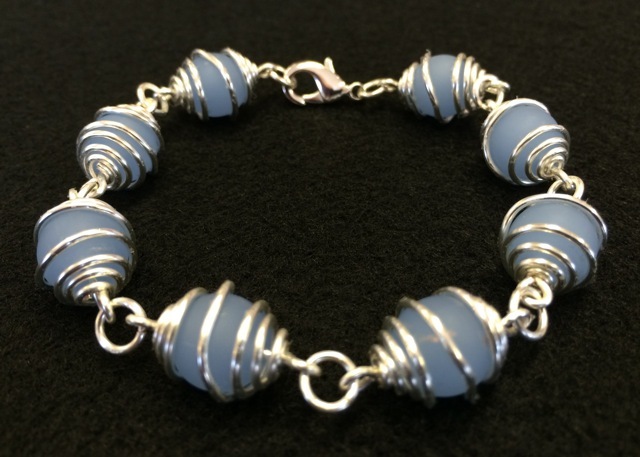 Learn to make a gorgeous sterling silver bracelet using silver rings and a toggle clasp. Please bring chain nose pliers and flat nose pliers (marked with your name), or you may purchase pliers at the shop when you arrive. Please arrive early to choose materials. 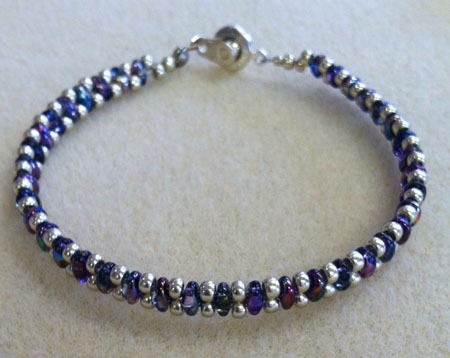 $41 for instruction, approximately $50 for materials, depending on the length of your bracelet. If you have your own tools labelled with your name, bring round nose pliers, chain nose pliers, and flush cutters. You can also purchase tools at the beginning of the class. 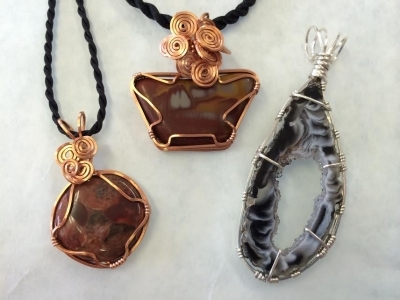 $24 and up for materials, depending on the stone that you choose to wrap. 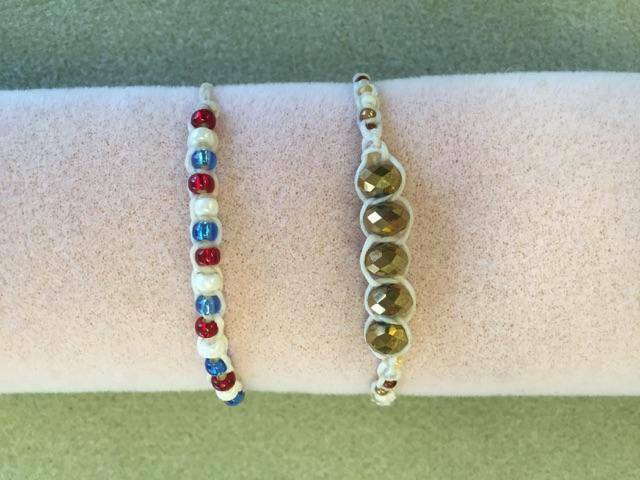 Learn to make a fun bracelet using multiple strands of bead wire and seed beads. 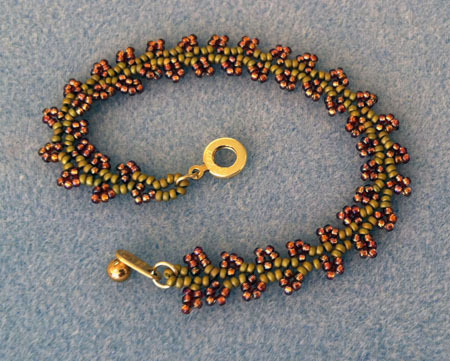 Learn to use the right angle weave stitch to produce a stunning necklace with seed beads. plus approximately $15 for materials. SPECIAL: Bring a friend and both of you get a $5 discount! Learn to shape aluminum by hammering it to form a pendant. 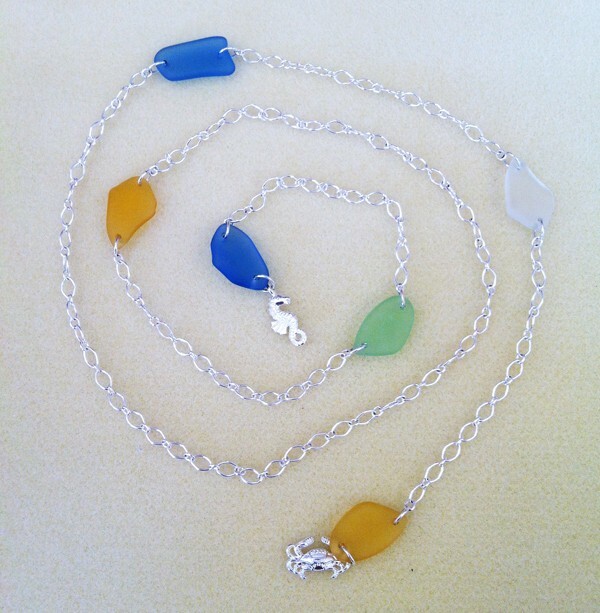 You will also make a simple chain to attach to the pendant to make a beautiful necklace! Please arrive early to choose materials. $30, includes instruction. 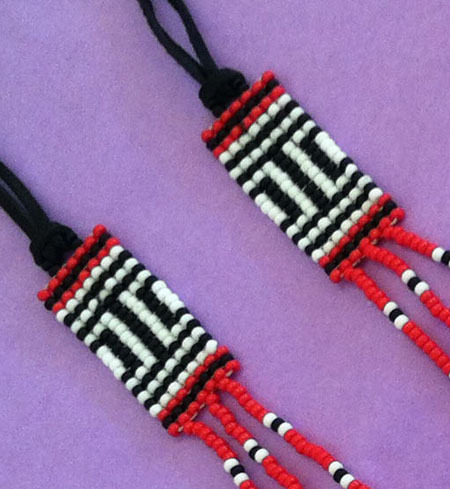 Learn to do kumihimo braiding to make a simple and eye-catching seed bead bracelet or necklace. This class will get you started. You can schedule additional time with Jennifer Shaw if you need help to finish. Please arrive early to choose materials. $30 for instruction, $30 bead kit is suggested, plus $3 braiding disk and $4 thread holders if you do not already have them. 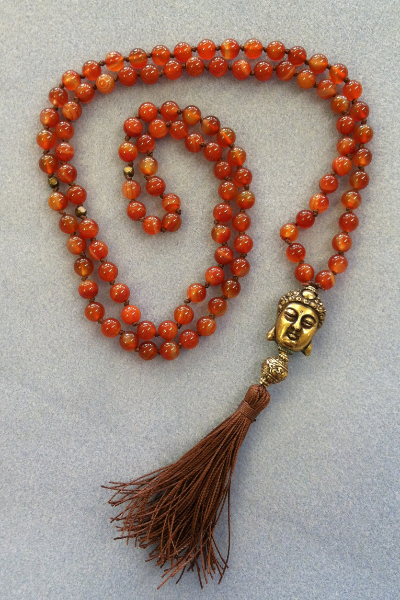 Learn to knot with chinese knotting cord and create a tassel to form this stone-bead prayer necklace. $10 to $20 for materials, depending on what you choose. $5 off per person if you register with a friend! Learn the full process to "knit" wire, from set-up through stitching, adding wire, drawing down, to finishing. 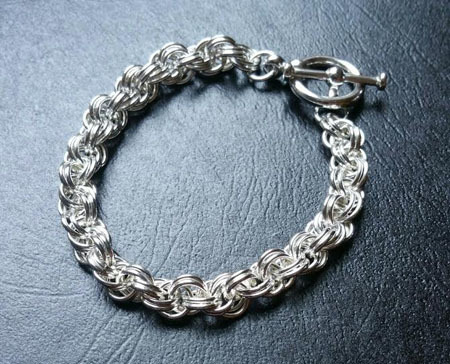 During the class, you will knit a length of chain that can be used to make a bracelet. Depending on your knitting speed, you may or may not complete the bracelet during the class. Full instructions will be provided so that you can complete the bracelet in class or at home. Tools: Please bring (or purchase in the shop) chain nose pliers, round nose pliers, flush cutter, and a beading awl (or similar tool). Please arrive early to choose materials. $55, includes instruction. Learn to make a "snake knot" strand with Chinese knotting cord and finish the bracelet with large hole beads and a button closure. 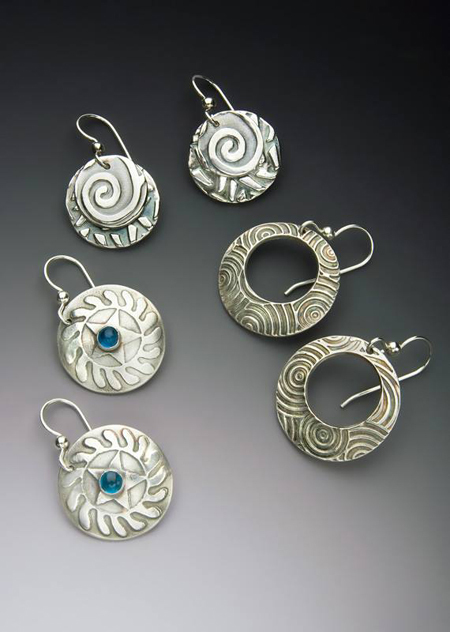 In this 4-hour class, you will create your own silver jewelry using precious metal clay (PMC). PMC is made up of microscopic particles of silver or other precious metal in an organic binder with water. In this class, you will be guided in using a variety of textures and molds, joining clay, and finishing your creation. We then put your creation in the kiln. The organic binder is baked away, leaving a pure metal treasure for you. Please arrive early to choose materials. 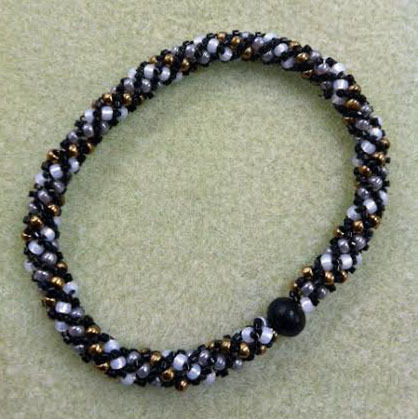 Learn to combine super duo beads with simple seed beads to create this luxurious bracelet. Please arrive early to choose materials. $20 for instruction. 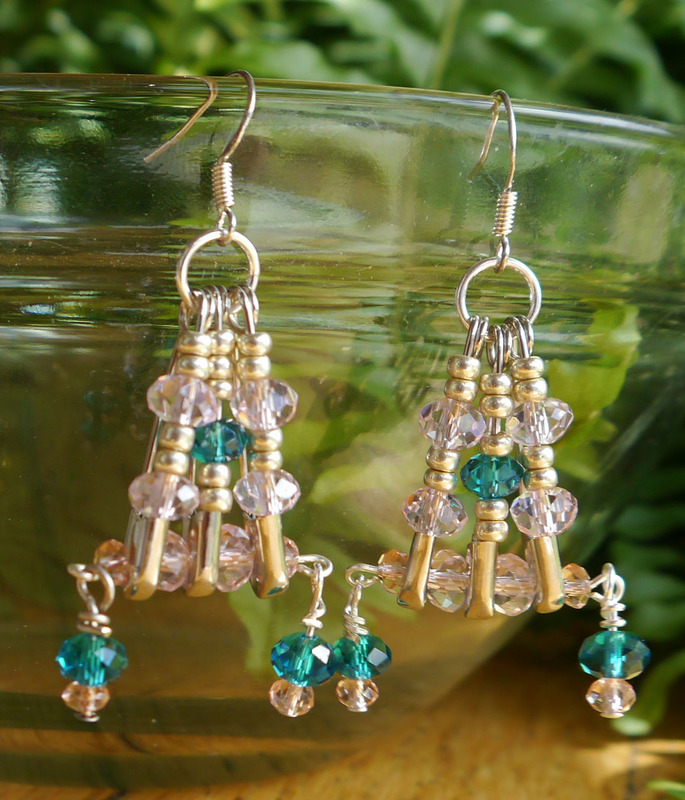 Learn to make these brillian 6-point drop earrings that combine several types of glass beads. 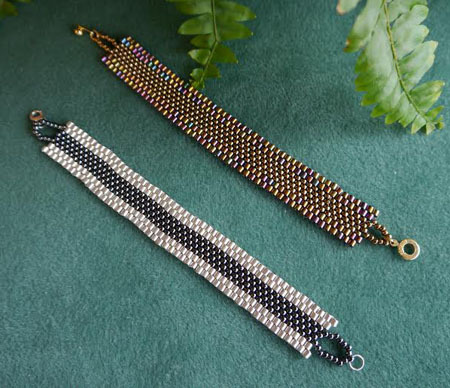 Learn to fire line and seed beads in this classic chain stitch pattern to make an elegant bracelet. Please arrive early to choose materials. $30 for instruction. 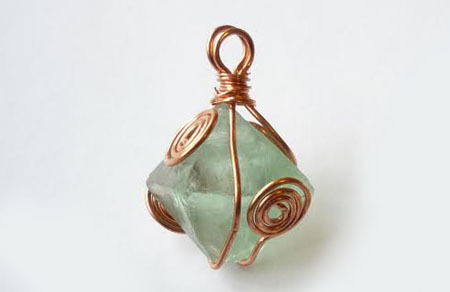 Learn to turn a fluorite crystal into a beautiful pendant by adorning it with copper wire. Cost of materials will be approximately $16, depending on the crystal or amount of wire you choose to use. 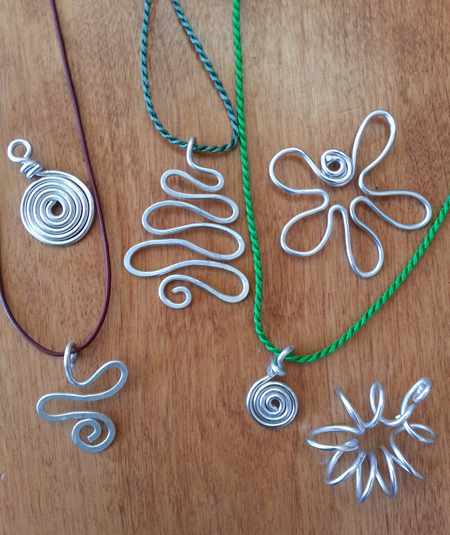 Learn to make very useful components from 20 gauge silver plated wire. Combine these elements to make bracelets, earrings, and more. This is a techniques class. Therefore, you might not be able to finish all of the items pictured here during the class, but you will know how to make them. Required tools: Chain nose pliers, round nose pliers, flush cutter. Flat nose pliers are optional. You can purchase tools at the class. 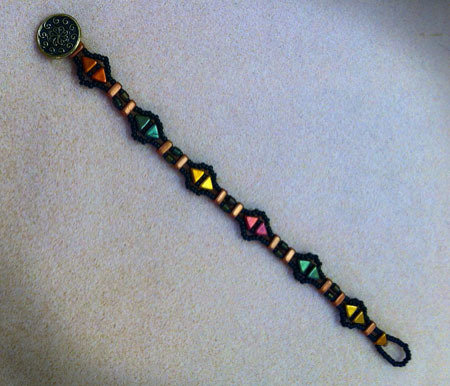 Learn to make this lovely bracelet using two-hole tila beads and seed beads, finished with a magnetic clasp. Cost of materials will be $15 to $20, depending on what you choose. Register with a friend you each get $5 off! 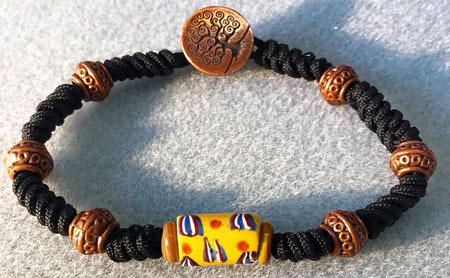 Learn to use this bead stitching technique to make a sturdy and striking bracelet. 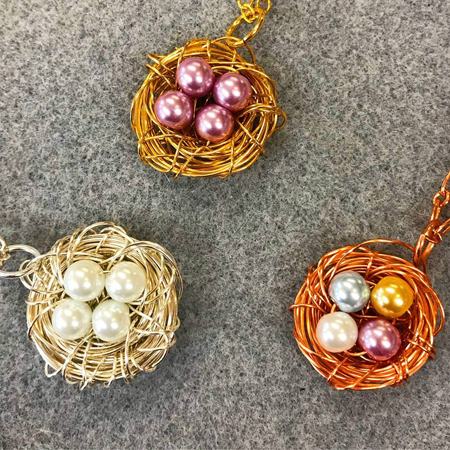 Learn how to make a rustic pendant by surrounding 4 beads (the eggs) with metal wire (the nest). All ages! No experience necessary. Children under 10 must be accompanied by an adult. 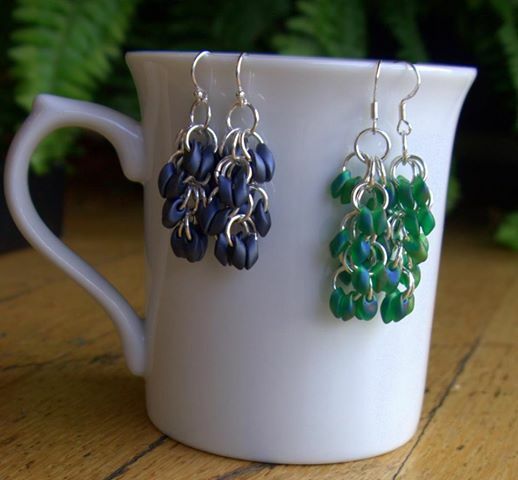 Learn to make marvelous earrings by clustering magatama beads with jump rings. If you have your own tools, please bring chain nose pliers and flat nose pliers. 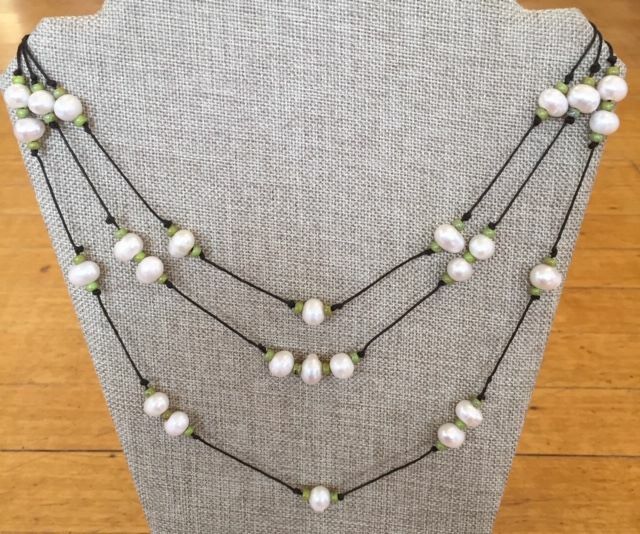 Learn to make an eye-catching multi-strand necklace, using a knotting technique to "float" pearls on each strand. 216-932-3780. $30 for instruction; $10 to $30 for materials, depending on what you choose. 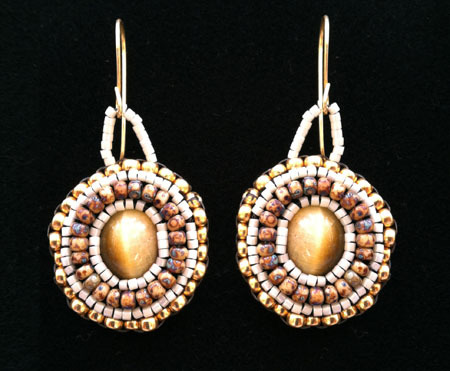 Learn to make beautiful earrings or pendants with seed beads, a focal stone, and fabric. approximately $20 to $30 for materials, depending on the beads you choose. 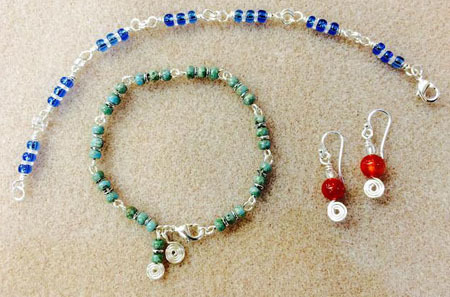 Learn to make a gorgeous seed brad bracelet with a charm and magnetic clasp. 216-932-3780. 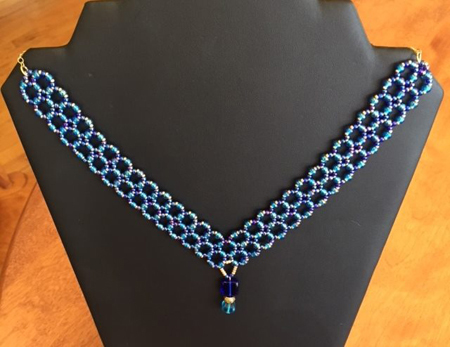 $30 for instruction; $20 or more for materials, depending on the beads you choose. 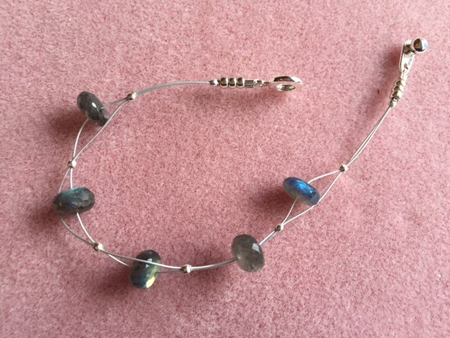 Learn to make a spiral wire cage for a bead, eye pins, jump rings, and connect components to form a beautiful bracelet. If you have your own tools labelled with your name, bring round nose pliers, flat nose pliers, chain nose pliers, and flush cutters. You can also purchase tools at the beginning of the class. $10 to $20 for materials, depending on the beads that you choose. 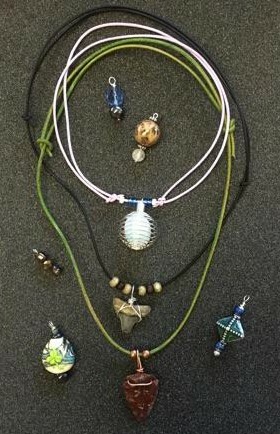 Learn to make an eye-catching multi-strand necklace, using a knotting technique to "float" beads on each strand. 216-932-3780. $30 for instruction $10 to $30 for materials, depending on what you choose. 216-932-3780. $40, includes instruction and materials. SPECIAL: Bring a friend and each of you pays only $35 plus materials! 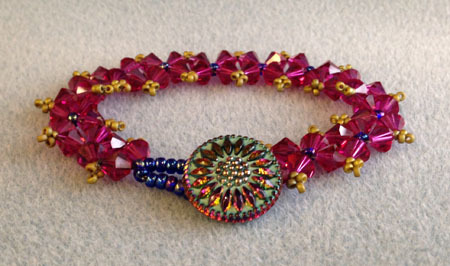 Learn to make a lovely bracelet using Swarovski crystals and seed beads with a button closure. SPECIAL: Invite a friend--you each get $5 off when you register together. $7 to $15 for materials, depending on the materials that you choose. 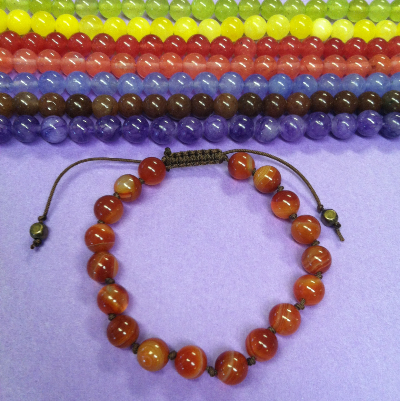 Learn to make a colorful, stackable bead bracelet from leather cord and seed beads. You will also make a metal button clasp for closing the bracelet. Ages 13 and up. No experience necesssary. 216-932-3780. $35, includes instruction and materials. 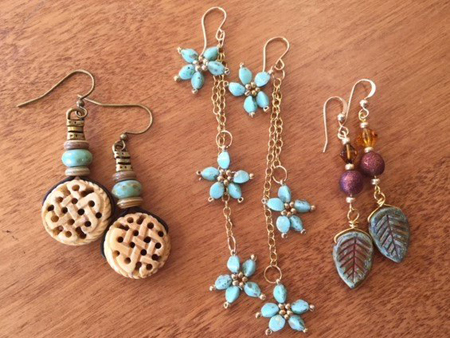 Learn three different techniques to make earrings using various materials including wire, chain, leather, charms, and beads. 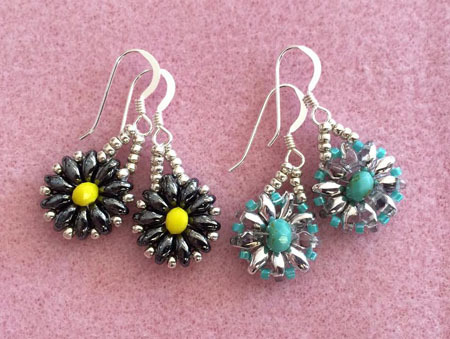 Learn to make beautiful earrings with a mix of superduos, seed beads, and glass drops. 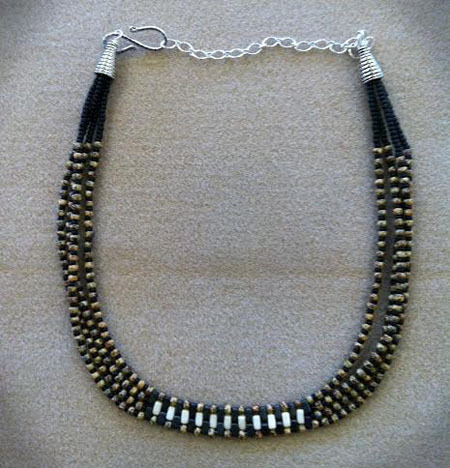 Learn to use beautiful Par Puca beads to make this Egyptian style necklace. approximately $15 for materials, depending on the materials that you choose. 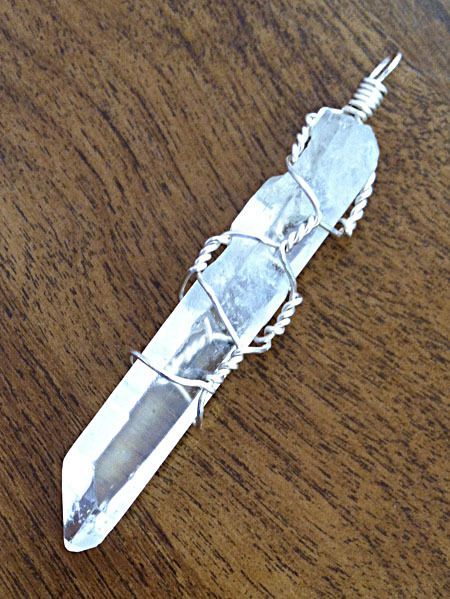 Learn to make a pendant using quartz crystal and silver artistic wire. Ages 8 and up. No experience necessary. 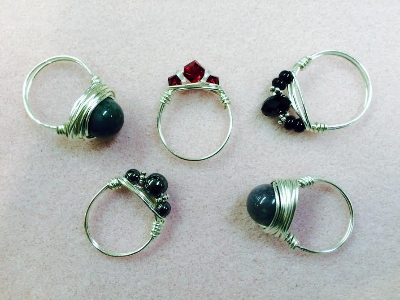 Learn to make rings using wire with beads or crystals. 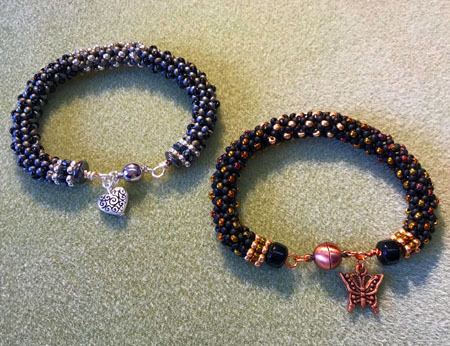 Learn to knot with knotting cord and create an adjustable prayer bracelet with stone beads. Learn several different techniques to finish leather bracelets and necklaces. Choose one project to finish and take home. Cost of materials will depend on what you choose. 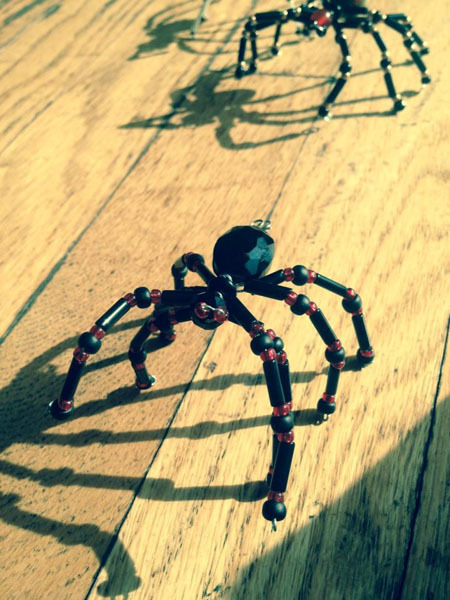 Learn to make this scary and fun spider for Halloween using memory wire and colorful glass beads. 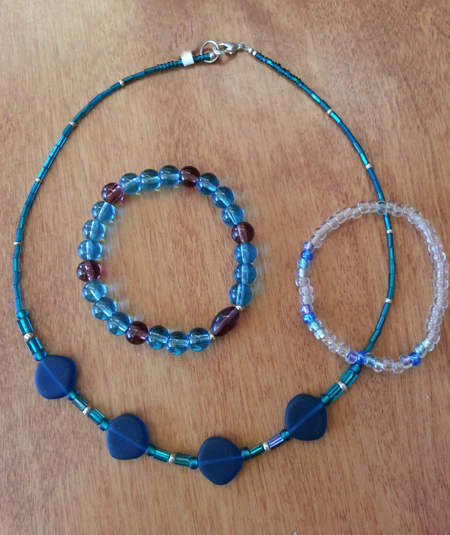 Learn to make this fun multi-strand necklace using matte-finish "sea-glass" beads. 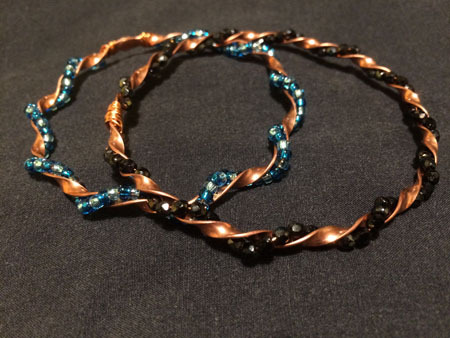 Learn to twist flat copper wire, rivet, and adorn it with beads. 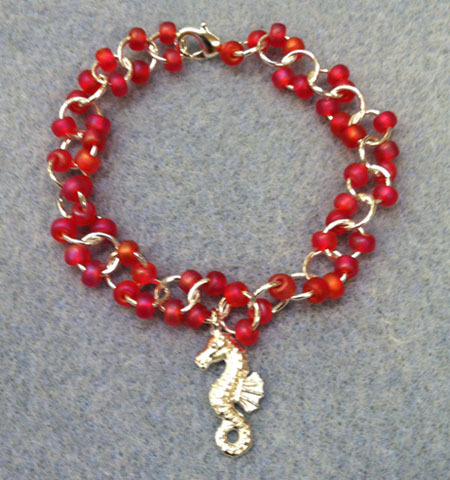 You will also learn to finish the ends of the bracelet and attach a clasp. Sign up with one or more friends and you each get $5 off! 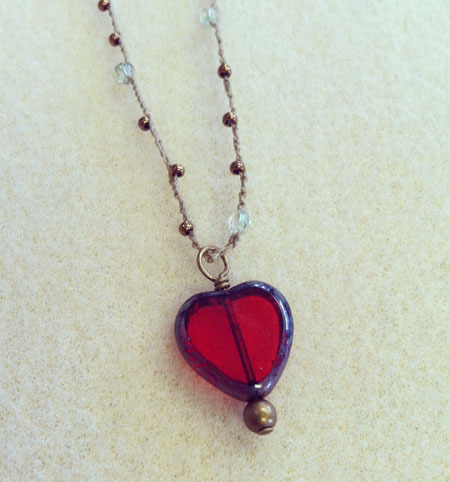 Learn to make a light hearted necklace using a glass heart pendant on a crocheted necklace with lovely bead highlights. 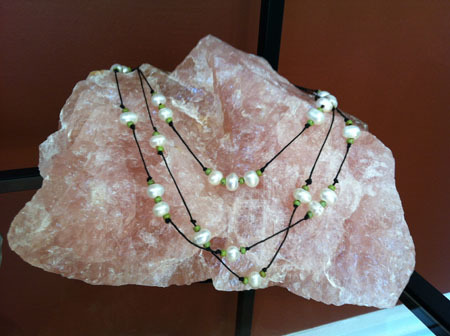 Learn how to create an elegant necklace that incorporates tumbled glass with chain. 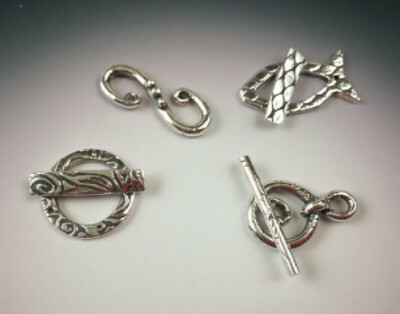 In this 4.5-hour class, you will create your own silver clasp using precious metal clay (PMC). PMC is made up of microscopic particles of silver in an organic binder with water. In this class, you will be guided in using a variety of textures and molds, joining clay, and finishing your creation. We then put your creation in the kiln. The organic binder is baked away, leaving a pure silver treasure for you. This is a 4.5 hour class. 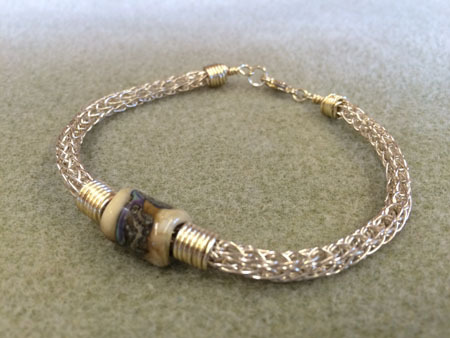 Learn to make a bracelet with beads and cord. You may drop in, but reservations are suggested. Enrollment is first come, first served, with a maximum enrollment of 6 students. 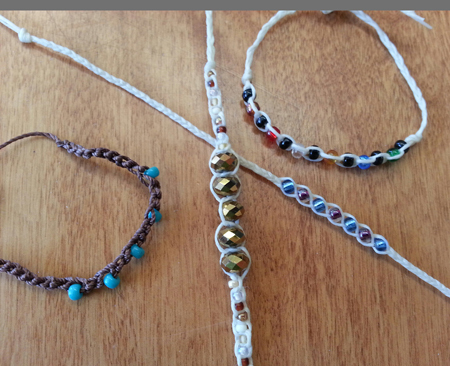 Learn to make these fun and easy bracelets with beads on stretchy cord. You will keep as many bracelets as you can make in an hour! This is a 4-session class meeting on 4 consecutive Saturdays. Learn to make a beautiful and glistening cuff bracelet with seed beads and fabric. This is a 4 hour class, taught in 4 sessions, each lasting 1 hour. 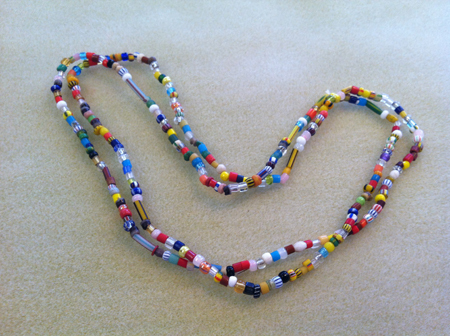 includes all 4 sessions; approximately $20 to $30 for materials, depending on the beads you choose. 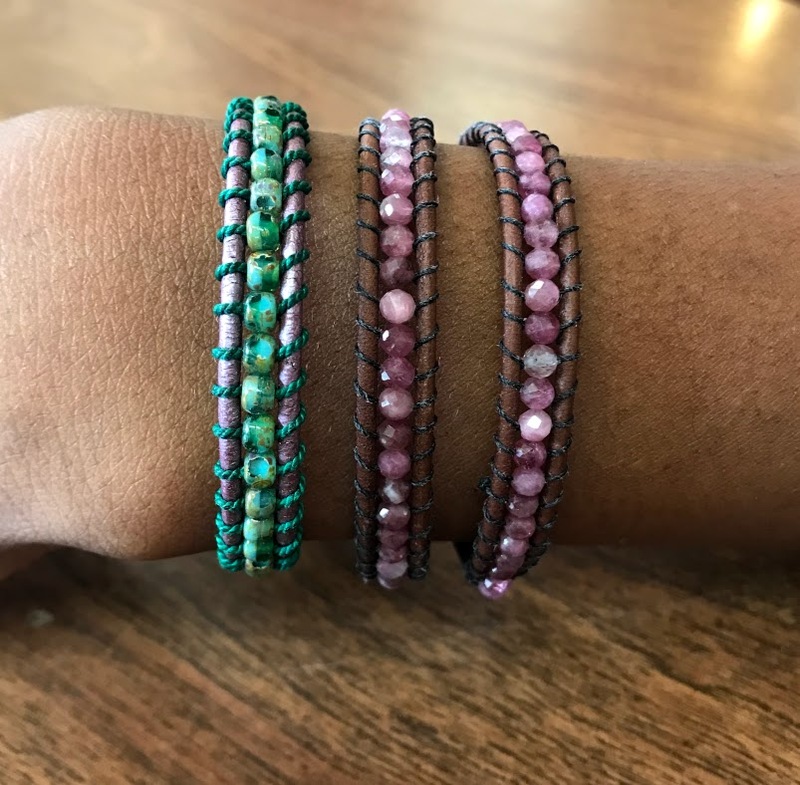 Learn to make a long and luxurious strand of beads that you can wear as a wrap on your wrist or as a waist band. Learn to make a simple and stylish leather bracelet and make your own clasp for the bracelet using a button. 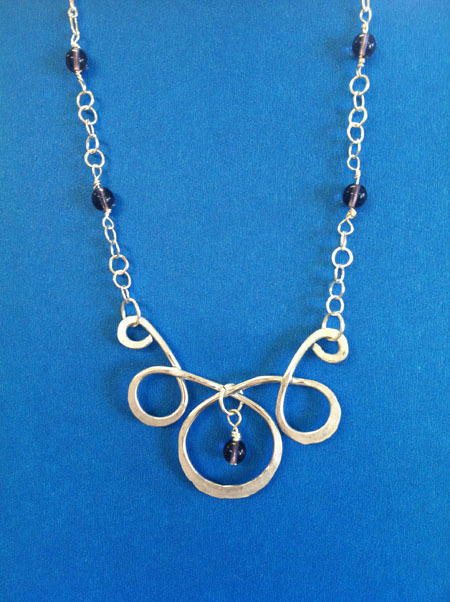 Learn to make a simple and stylish necklace that you can adjust to the length of your choice. Learn to make a knotted pearl bracelet with colorful leather cord. 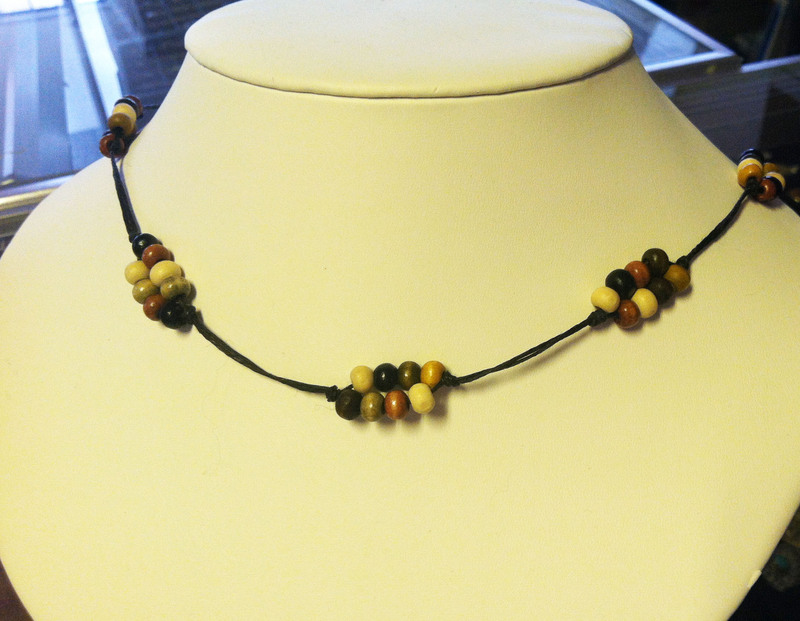 Learn to make a multi-strand necklace with glass beads on waxed linen cord. 216-932-3780 $20, includes instruction and materials. 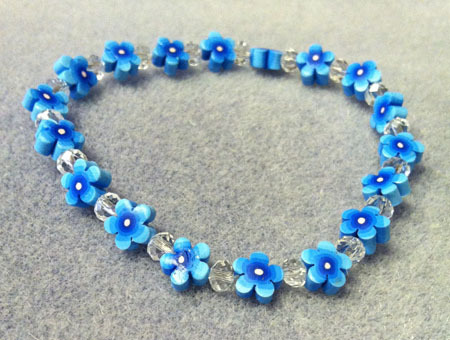 Learn to make a cute bracelet using fimo formed beads and crystal beads. 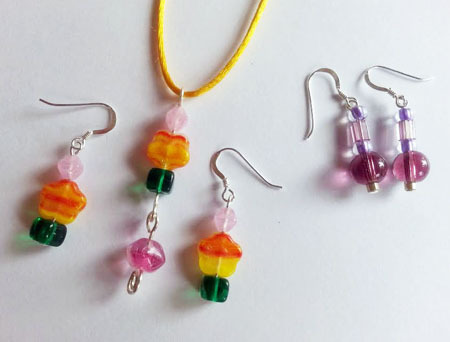 Learn to make earrings using safety pins and seed beads. For that personal touch, bring your own stick--approximately 12 inches long and the diameter of a pencil. Enrollment is first come, first served, with a maximum enrollment of 6 students. 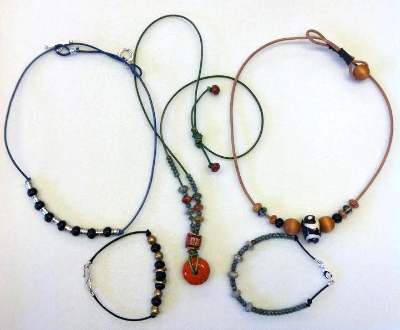 Learn to make a fun bracelet by wrapping a ball chain with craft cord. 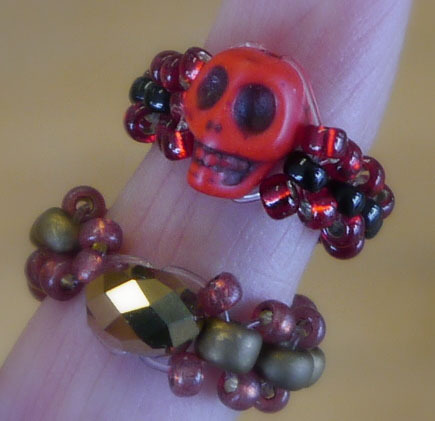 Learn to make a ring with beads and stretchy cord. 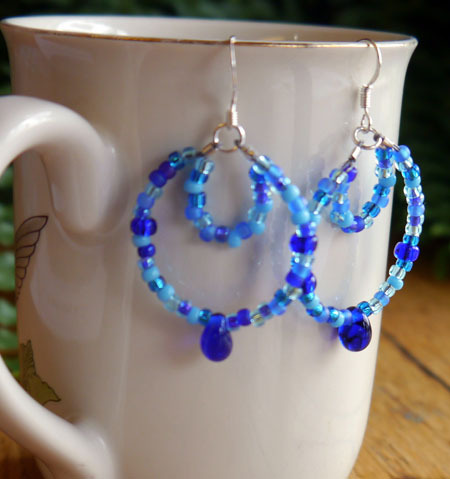 Learn to make lovely earrings using seed beads and Flex-Rite wire. 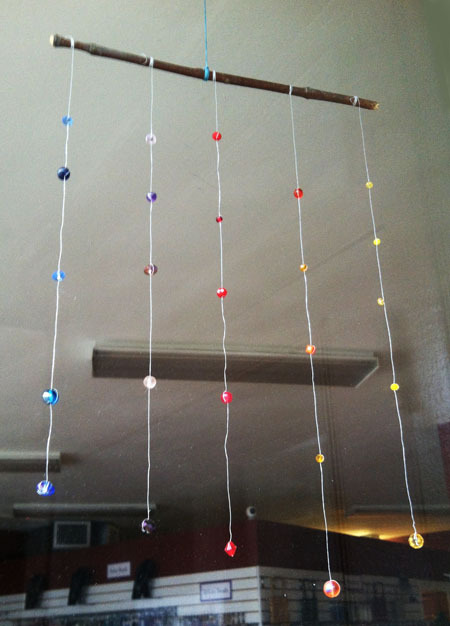 You can make these with earwires or clip-ons. 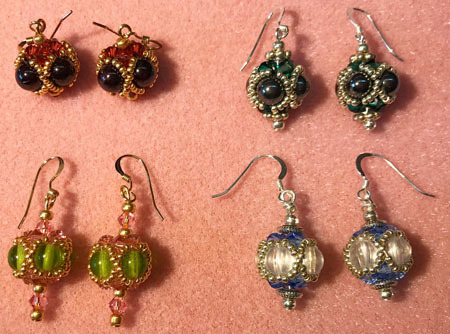 Learn to make earrings with beads, headpins and earwires. 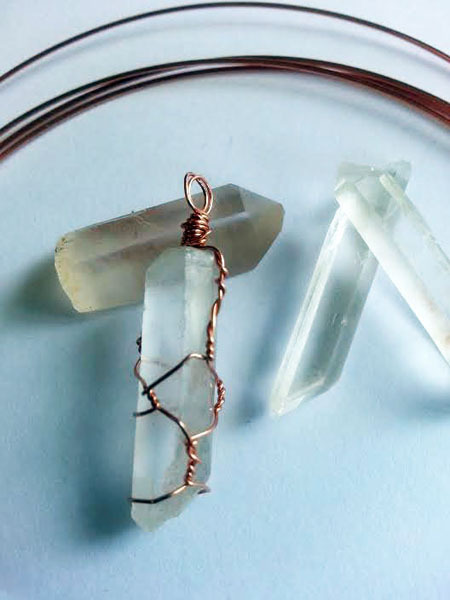 Make a charming pendant from a genuine quartz crystal, using copper wire and basic wire wrapping techniques. All ages! This class is intended for children age 8 and up. Children under 8 may take the class if accompanied by an adult. Call: 216-932-3780 to register and reserve a space in this class. 216-932-3780. $20, includes instruction and materials. 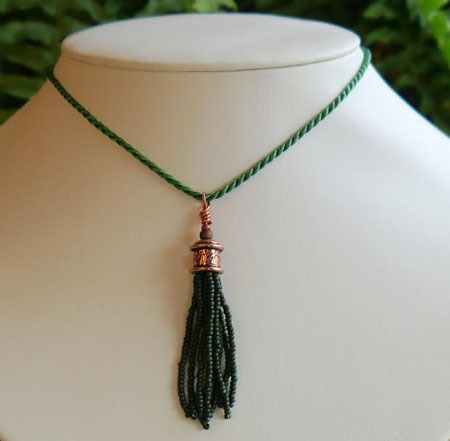 Learn to make a beaded tassel and finish it as an elegant pendant. 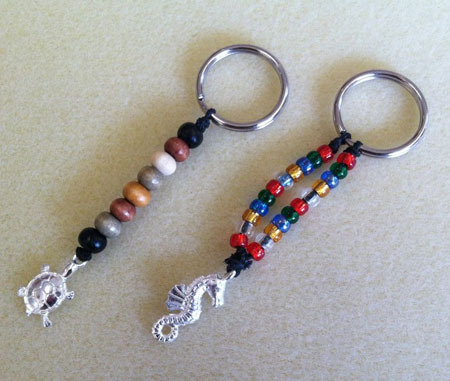 Learn to make a distinctive key chain with colorful seed beads and a metal charm. Learn to make a strand of chain rings and charms to put on the chain for a personalized bracelet. 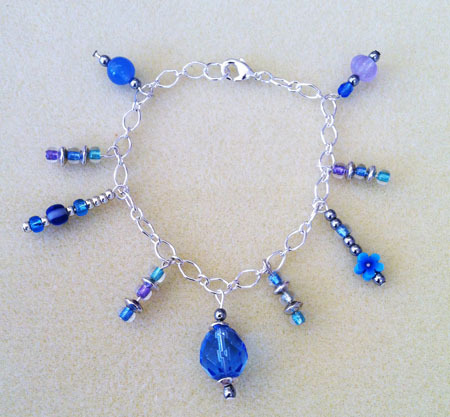 Learn to link chain rings, decorated with sead beads, in this fun charm bracelet. 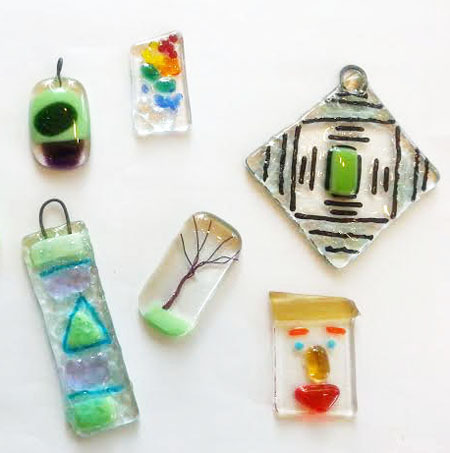 Make colorful glass pendants while learning how to fuse pieces of glass into interesting shapes. The glass is fused in a hot kiln overnight. 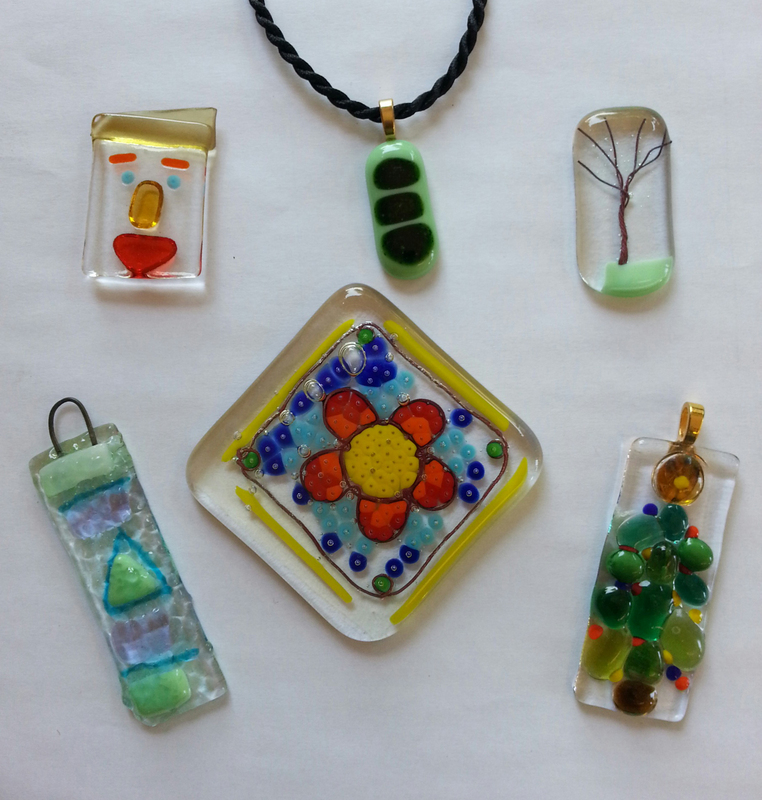 Therefore, participants (or parents or guardians) must come back the next day to pick up the fused glass. 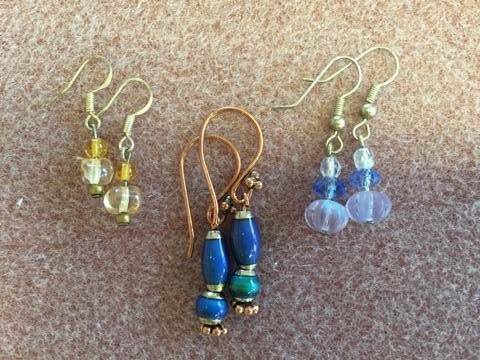 Make a lovely pendant or pair of earrings while learning how to use a basic beading tool. 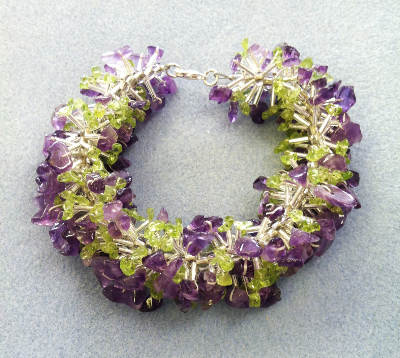 Learn to make a fantastic garden decoration using crystals and seed beads on memory wire. Learn to bend aluminum on a peg board to make whimsical shapes. Then have fun hammering the aluminum to form a flat pendant. 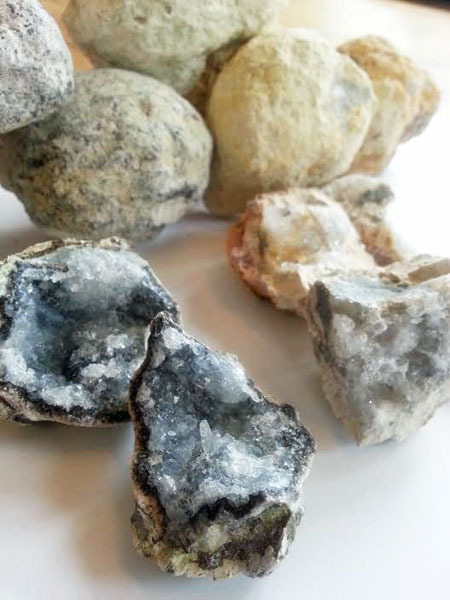 Learn about stone identification by cracking open a geode and examining the color and other qualities of the crystals inside. You can also bring your own stone to find out what it might be. Participants will get to take a special stone home. 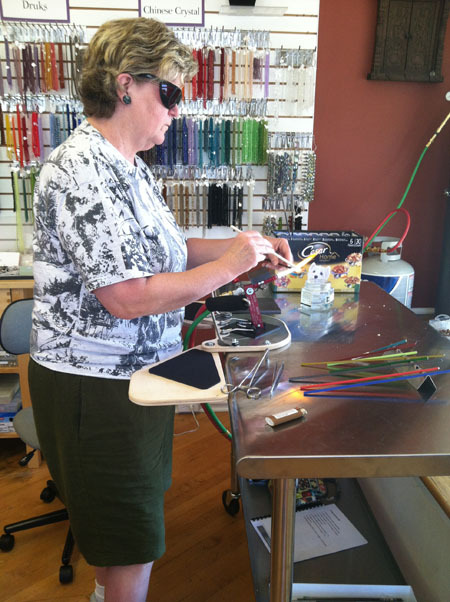 Make beautiful glass window decortations while learning how to fuse colorful glass pieces into interesting shapes. 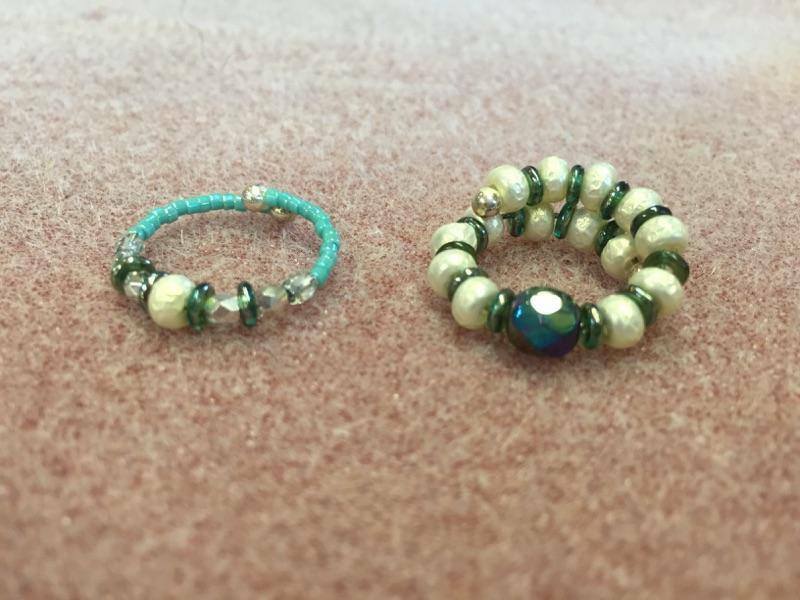 Make a lovely bracelet plus either a pendant or pair of earrings while learning how to use a very helpful basic beading tool. 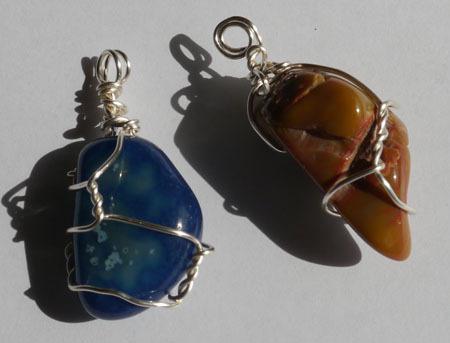 Learn to make a beautiful pendant with a tumbled stone and silver artist's wire. Learn basic beading techniques to make a colorful bracelet or necklace. 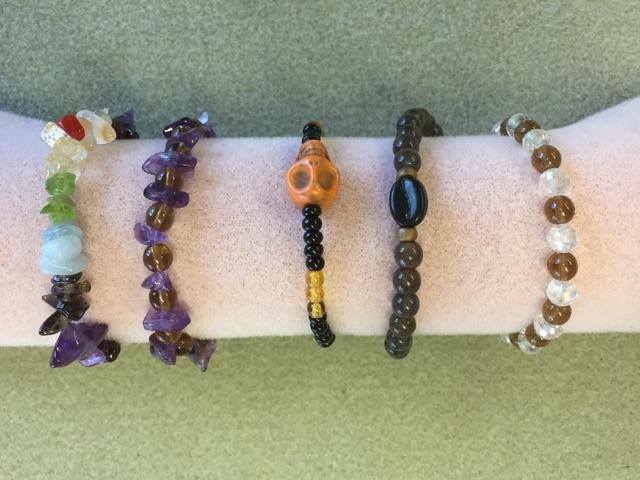 Choose to make stretchy cord bracelets (easy) or to make a clasped bracelet or necklace (more challenging), depending on your ability to handle tools. 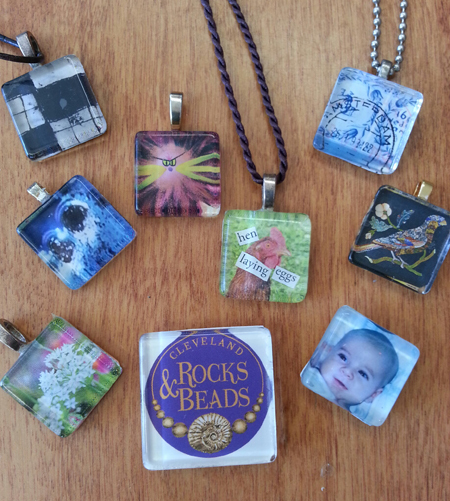 Learn how to create a memory pendant or magnet using old photos, magazines, stamps or any printed material (to make as many as three pendants). Participants must wear the following for safety: closed-toed shoes, clothing made with natural fibers such as cotton (polyester and other polymers can melt onto your skin in an accident), and hair ties to secure long hair. Please arrive early to choose materials. $35 for instruction and materials per hour. 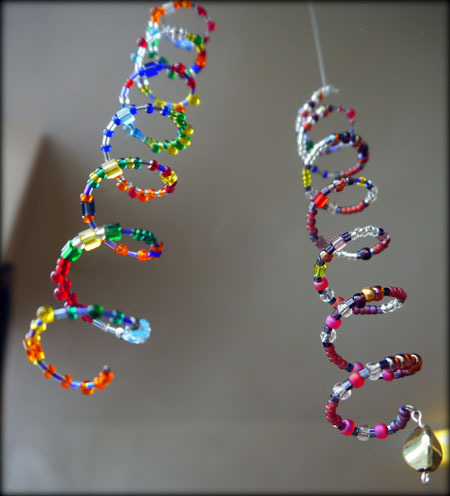 Drop in and let Holly guide you or your child through making a beautiful glass icicle. You will have the opportunity to melt glass in the torch flame, combine different colors of glass, and pull it into a shape that looks great hanging in your window. Combine pieces of cut class to make a holiday ornament. 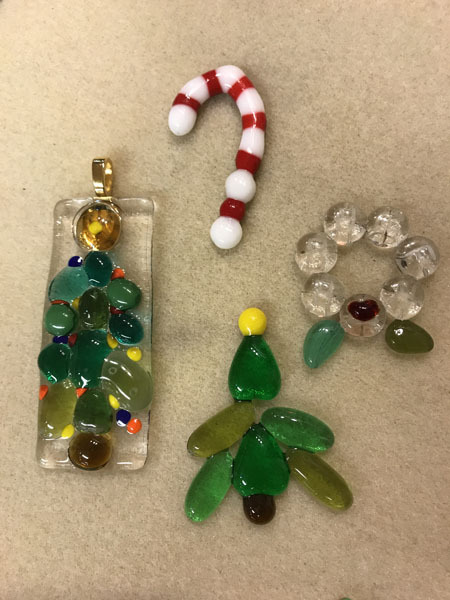 The glass in your ornament will be fused along with a metal hanger in our kiln. Note: The glass items need to be stabilized in the kiln, which takes a long time. Please plan to pick up your icicle or ornament a few days later. Safety Notice: In order to use the torch, you must be dressed safely, including natural fiber clothing, closed toe shoes, and hair ties for long hair. Ages 12 and up. No experience necessary. Copyright © 2014-2019 by A World of Good, Inc.